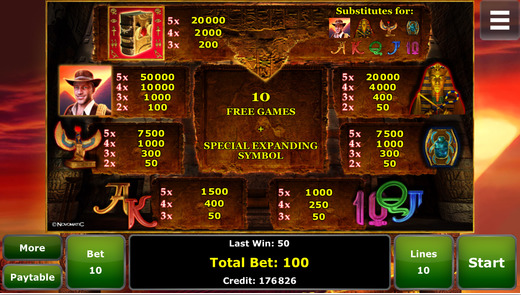 The Book of Ra Deluxe Slot App is another brilliant app on offer from GameTwist. This app marks the final chapter of the Book of Ra, fantastical and mysterious app experience into the world of pyramids and ancient civilisations. 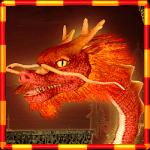 This is the best adventurer app there is, with many breathtaking moments and an urgent sense of action. 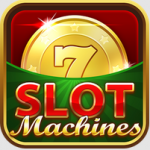 This deluxe version of the app is also brilliant because of the numerous bonus variants that it features. Find yourself lost in an Egyptian abyss with the enigmatic hieroglyphs adding character and a sense of awe and amazement through the whole game. 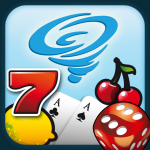 This game is available for download from the Google Play Store, and it can be played on all Android devices. To play this game, you need to look at the five reels where the same symbol is displayed. To win, the symbols must be next to each other without other symbols being found in between. With a little practice, you will develop incredible skills in this game, and moving up the levels will be something done with consummate ease. Should you be having trouble getting all your symbols in order, you can get a wild card, which has a book symbol and replaces all the other symbols. Registration to play this game is a quick, one-step procedure. 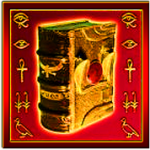 First, download the game to your device and then register and open your Book of Ra account. 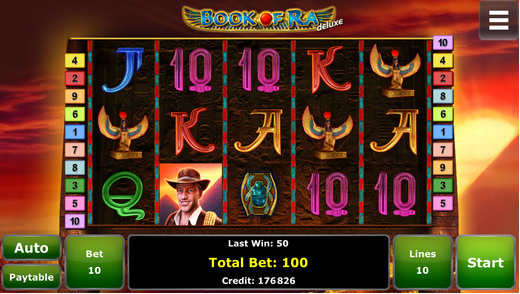 When you are done playing this game, take time to explore all the other games available through the Book of Ra app.